Take a hands-on cooking class dedicated to making the perfect artisan cheese dishes to dazzle your guests. 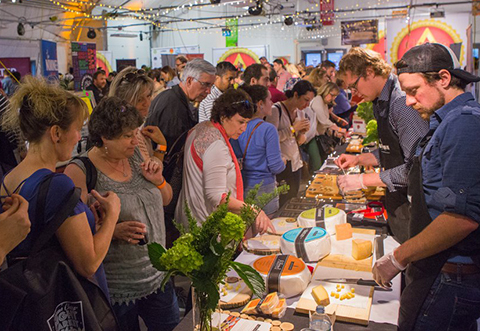 It’s an exclusive event created just for The Great Canadian Cheese Festival by Cynthia Peters, personal chef, author and owner of the acclaimed From the Farm Cooking School in Prince Edward County. The day begins at 9:30 in the kitchens of From the Farm Cooking School where together you will create tasty cheese-inspired dishes that will impress your friends and family. 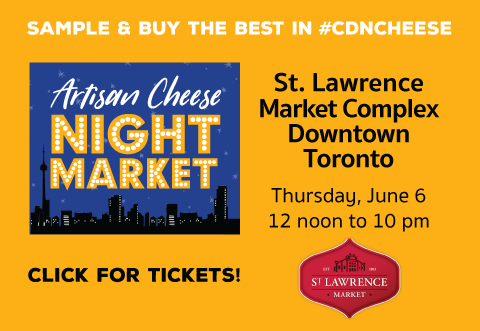 Chef Cynthia Peters will highlight the art of cooking locally and the joy of eating and pairing Canadian artisan cheese with a host of ingredients. A sampling of Prince Edward County wines will accompany your lunch at the harvest dining room table. Nothing to bring but your appetite. Everything is provided. Limited space. Visit fromthefarm.ca to learn more about the school, its classes and culinary tours.